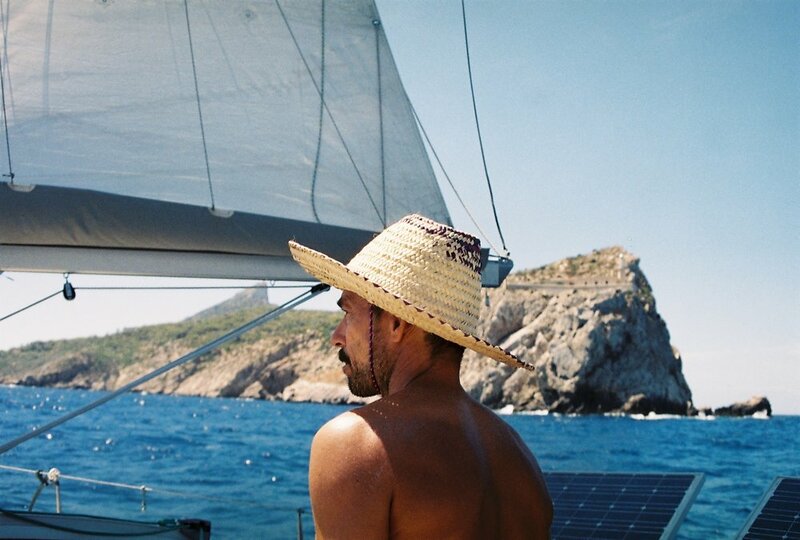 Find below some tips for a summer sailing trip. It's better if you come with a soft textile bag, instead of a classic hard trolley valise. Think that your cabin is a small space, when your bag will be empty, there will be more space for you if you can hide it. You only will be able to hide it if its soft and foldable. It will be very hot, and we will live mostly in our bathing suits all the time. A minimalist wardrobe will do. I recommend to bring more than one swim suit. It is the garment you'll use the most, and it is also very nice to be able to change it after going out of the water. If you bring 2 or 3 bathing suits you'll always have one dry and ready to use. I recommend to bring some flip-flops, and also something for trecking. It is very common to find nice walks in land, where tracks are sometims a bit rocky. So if you would like to have a bit of adventure inland, a side form flip-flops, bring a pair of sneakers or something decent to walk. If we use water like sailors, we carry water for one week long. The boat has got some special procedures, like we make the dishes with a special salt water tap. We can have a special shower daily. Continue reading bellow. There is one on board. Fresh water will last for one week if we have a small shower daily. Normally I recommend to take it at the after the last swim of the day, so you can go to bed with any salt over you. You'll find it on board, If you want, there's no need to bring it from home. There is no problem if you would like to bring yours. These are very much used during a summer sailing trip. I recommend you to bring a pair. One for salty water and the other one for fresh water use. But there are towels on board. After every trip I'll take them to the laundry. This is one of the expenses that is not included in the price. Yacht Club's laundries are more expensive than the city ones. This can be 6-8€ per a bath size towel. There is no problem if you would like to bring it from home. If you bring yours make sure it is 1,50m. wide or more (one adjustable and another one to cover yourself). But there are linens on board for every cabin. After every trip I'll take them to the laundry. This is one of the expenses that is not included in the price. Yacht Club's laundries are more expensive than the city ones. This can be 15-20€ per cabin. There are masks and fins for almost every kind of foot. If you feel more confortable bringing yours, that's perfect, but know that you'll find some on board. Non swimmers are totally welcome. There is a safety policy and equipment that makes sailing totally safe even if you don't swim. If you don't swim at all there isn't any proble, but you may tell to the Captain. This is the boat's underwater camera. You can use it whenever you like it and I'll send the pictures to your mobile phone. Bring lots, it's very important. There are hats for everyone in the boat. There are cards, dices, and backgammon. I will keep updating this section with things that are good to know before you come to the boat. Please, do not hesitate to contact me if you have any other doubts.